This dataset contains city population yearly time series for female and male, and for both genders, collected by the United Nations Statistics Division and published by UNData. The United Nations Statistics Division (UNSD) collects, compiles and disseminates official demographic and social statistics on a wide range of topics. Data have been collected since 1948 through a set of questionnaires dispatched annually to over 230 national statistical offices and have been published in the Demographic Yearbook collection. The Demographic Yearbook disseminates statistics on population size and composition, births, deaths, marriage and divorce, as well as respective rates, on an annual basis. 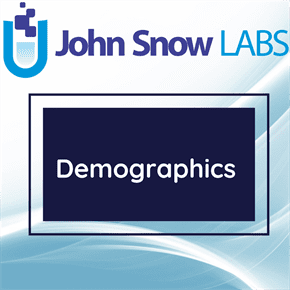 The Demographic Yearbook census datasets cover a wide range of additional topics including economic activity, educational attainment, household characteristics, housing characteristics, ethnicity, language, foreign-born and foreign population. The available Population and Housing Censuses’ datasets are reported to UNSD for the censuses conducted worldwide since 1995. Note: Area Covered for the Questionnaire: Total. 1=Population statistics are compiled from registers. 2=Statistics are compiled from registers. 3=Including armed forces stationed in the area. 4=Data refer to projections based on the 2010 Population and Housing Census. 5=The urban agglomeration of Buenos Aires includes the city of Buenos Aires, and the 24 parts of the Buenos Aires province; among them, General San Martín, La Matanza, Lanús, Lomas de Zamora, Morón, Quilmes, San Fernando, San Isidro y Vicente López. 6=The urban agglomeration of Tucumán-Tafí Viejo includes San Miguel de Tucumán. 7=Data refer to projections based on the 2001 Population Census. 8=Data refer to private households only. 9=Estimates based on the Australian Statistical Geography Standard (ASGS). The populations for Greater Sydney, Melbourne, Brisbane, Perth, Adelaide, Hobart and Darwin are based on the ‘Greater Capital City Statistical Area (GCCSA)’ statistical area level. All other cities are based on the ‘Significant Urban Areas (SUA)’ statistical area level. The data has been included under ‘city proper’. 10=This data has been randomly rounded to protect confidentiality. Individual figures may not add up to totals, and values for the same data may vary in different tables. 11=Data refer to geographic areas of statistical divisions in the Australian Standard Geographical Classification hierarchy. 12=These estimates are based on the new Australian Statistical Geography Standard (ASGS) and are the first released estimates based on the ASGS (released 31 July 2012). Previously, population estimates were based on the Australian Standard Geographical Classification (ASGC). These estimates are preliminary rebased and based on the 2011 Census. The populations for Greater Sydney, Melbourne, Brisbane, Perth, Adelaide, Hobart and Darwin are based on the ‘Greater Capital City Statistical Area (GCCSA)’ statistical area level. All other cities are based on the ‘Significant Urban Areas (SUA)’ statistical area level. IThe data has been included under ‘city proper’. 13=It is not possible to distinguish for all regions between ‘city proper’ and ‘urban agglomeration’ areas, therefore data has been included under ‘city proper’. 14=Data refer to resident population only. 15=Statistical division, which is a relatively stable area that includes a large buffer around each city to reduce the need to change boundaries as the city grows. 18=City proper refers to commune or municipality. 19=Densely inhabited area (city and localities around the city) with additionally high concentration of employed persons. 20=Average annual population based on the final data of 2009 Population Census. 21=Data include Anderlecht and Schaerbeek. 22=Data for cities proper refer to communes which may contain an urban center and a rural area. 25=La Paz is the actual capital and the seat of the Government but Sucre is the legal capital and the seat of the judiciary. 27=City is a settlement with a status of city according to the administrative-territorial division of the country at the end of the respective year. 29=Estimates adjusted for census net undercoverage (including adjustment for incompletely enumerated Indian reserves). 31=Population estimates and components of demographic growth according to Standard Geographical Classification (SGC) 2006. 32=Ottawa is the capital city, but the data are reported for the Ottawa-Gatineau urban agglomeration. 33=The data are preliminary postcensal estimates adjusted for census net undercoverage (including adjustment for incompletely enumerated Indian reserves and population review). 34=Because of rounding, totals are not in all cases the sum of the respective components. 36=Refer to St. Catherine only. 37=Includes urban agglomeration of Burlington. 38=Includes urban agglomeration of Cambridge. 39=Includes urban agglomeration of Laval, Longueuil. 40=Includes the urban agglomeration of Gatineau. 41=Includes urban agglomeration of Brampton, Markham, Mississauga, Oakville, Richmond Hill and Vaugham. 42=Includes urban agglomeration of Burnaby, Coquitlam, Richmond and Surrey. 43=Data exclude the population of the cities of Puente Alto and San Bernardo. 44=Estimates based on the 2002 Population Census. 45=Data include the population of the cities of Puente Alto and San Bernardo. 48=’Metropolitan area’ Grand La Serena. 49=’Metropolitan area’ Grand Val Paraíso. 50=Excluding Niue, shown separately, which is part of Cook Islands, but because of remoteness is administered separately. 51=Data refer to national projections. 52=City proper refers to the ‘town’ which is a local self-government unit at the same level as a municipality, and represents a natural, urban, economic and social unity. 53=Excluding Faeroe Islands and Greenland shown separately, if available. 55=Data refer to municipalities, which may contain an urban center as well as rural areas. 56=Source: The 1984 Population and Housing Census of Ethiopia (Analytical Report at National Level). 57=Urban Agglomeration refers to Tórshavn, Hoyvík, Argir and Hvítanes. 60=The city of Aix-en-Provence is part of the urban agglomeration of Marseille. 61=The communes of Argenteuil, Boulogne-Billancourt and Montreuil are parts of the urban agglomeration of Paris. 62=Data for cities proper refer to communes which are centers for urban agglomeration. 63=Data refer to French territory of this international agglomeration. 65=The city of Boulogne-Billancourt is part of the urban agglomeration of Paris. 66=Data refer to communes, which may contain an urban center as well as rural areas. 67=Data based on the 2011 Census. 68=Excluding military personnel, visitors and transients. 69=Including armed forces stationed outside the country and alien armed forces in the area. 70=Data refer to the Vatican City State. 71=Including nationals outside the country. 72=The boundaries of the city are related to the boundaries of the respective commune. 73=Data refer to registered resident population. 74=The urban agglomeration of the capital area includes the following communes: Bessastaðahreppur, Garðabær, Hafnarfjörður, Kjósarhreppur, Kópavogur, Mosfellsbær ,Reykjavík, Seltjarnarnes. 75=Includes data for the Indian-held part of Jammu and Kashmir, the final status of which has not yet been determined. 76=Data for urban agglomeration include New Delhi. 77=Data for urban agglomeration include Bally, Baranagar, Barrackpur, Bhatpara, Calcutta Municipal Corporation, Chandan Nagar, Garden Reach, Houghly-Chinsura, Howrah, Jadarpur, Kamarhati, Naihati, Panihati, Serampore, South Dum Dum, South Suburban, and Titagarh. 82=Including Karkh, Rassaiah, Adhamiya and Kadhimain Qadha centers and Maamoon, Mansour and Karradah-Sharqiyah Nahlyas. 86=The data is from the census sample. 87=Data refer to Kingston Metropolitan Area. 88=Total represents population in private dwellings, the non-institutional population and persons found on the streets between the hours of 5am and 7am on September 26, 2001; the figures represent the census counts adjusted for under-coverage. 89=Excluding diplomatic personnel outside the country and foreign military and civilian personnel and their dependants stationed in the area. 90=Data for Tokyo refer to 23 ku (wards) of Tokyo. 91=Except for Tokyo, all data refer to shi, a minor division which may include some scattered or rural population as well as an urban center. population of 20 485 542 on 1 October 1965. 96=Excluding data for Jordanian territory under occupation since June 1967 by Israeli military forces. Including registered Palestinian refugees and Jordanians abroad. 97=Data refer to the city proper plus the peri-urban area. 98=Data refer to annual average population. 99=City is populated area with no less than 2 000 resident population, which is approved by the Cabinet of Ministers’. 100=Source: Living conditions of household survey, October 2011 to September 2012. 101=Based on the results of a household survey. 102=Data refer to Greater Monrovia. 103=City refers to densely built-up residential areas with a resident population of more than 3000 persons. 104=Data refer to the urban commune of Antananarivo. 105=Data refer to District de Bamako. 106=Including civilian nationals temporarily outside the country. 107=Excludes the islands of St. Brandon and Agalega. 108=The definition of locality is based on the 2000 Population census. 111=Including population from all eight townships. 112=Data for cities proper refer to administrative units (municipalities). 114=A new unitary authority called the Aukland Council area has started on 1 November 2010 at a territorial authority level that includes two districts and four cities (North Shore, Waitakere, Auckland, and Manukau). 115=Data refer to urban areas only. 116=Including Manukau, North Shore and Waitakere. 117=Excluding data for the Pakistan-held part of Jammu and Kashmir, the final status of which has not yet been determined, and for Junagardh, Manavadar, Gilgit and Baltistan. 120=City population refers to urban population of districts within the city. 121=Data refer to usually resident population. 122=City is defined as an administratively separated area entitled to civil (municipal) rights. 124=Based on the results of the 2010 Population Census. 125=Urban agglomeration includes the city and its populated localities subordinated to its authority. 126=City is defined as industrial and cultural centers according to the legislation. 128=Projections based on the 2002 Population Census. 129=Included in urban agglomeration of Dakar. 131=Data for urban agglomeration refer to communes which are administrative divisions. 132=Data refer to Greater Victoria. 133=Data exclude residents who have been away from Singapore for a continuous period of 12 months or longer as at the reference date. 134=Data refer to resident population which comprises Singapore citizens and permanent residents. 135=Data are based on the latest register-based population estimates for 2010. 136=Bloemfontein is the judicial capital, Cape Town is the legislative capital and Pretoria is the administrative capital. 137=Data refer to municipals with 100 000 + population. 138=The Population and Housing Census 2001 did not cover the whole area of the country due to the security problems; data refer to the 18 districts for which the census was completed only (in three districts it was not possible to conduct the census at all and in four districts it was partially conducted). 139=Data have not been adjusted for underenumeration. 140=All persons falling within the scope of the census were enumerated on a de jure basis, except students who were enumerated on a de facto basis. 141=Data for urban agglomeration refer to Urban center (municipalities). 142=Excluding Channel Islands (Guernsey and Jersey) and Isle of Man, shown separately, if available. 143=Data refer to Greater Glasgow. 144=Data refer to Greater London. 145=Data refer to urban areas with more than 100 000 residents. 147=Capital of Wales for certain purposes. 151=Excluding U.S. Armed Forces overseas and civilian U.S. citizens whose usual place of residence is outside the United States. 152=City refers to a type of incorporated place in 49 states and the District of Columbia, that has an elected government and provides a range of government functions and services. Also included are Honolulu, Hawaii Census Designated Place (CDP), for which the Census Bureau reports data under agreement with the State of Hawaii (instead of the combined city and county of Honolulu), and Arlington, VA CDP (which is coextensive with Arlington County – an entirely urban county that provides the same levels of services and functions as a municipality). 153=Data refer to Anchorage municipality in Alaska. 154=Data refer to Athens-Clarke County unified government (balance) in Georgia. 155=Data refer to Augusta-Richmond County consolidated government (balance) in Georgia. 157=Data refer to Indianapolis city (balance) in Indiana. 158=Data refer to Lexington-Fayette urban County in Kentucky. 159=Data refer to Louisville/Jefferson County metro government (balance) in Kentucky. 160=Data refer to Nashville-Davidson metropolitan government (balance) in Tennessee. 161=Included in urban agglomeration of Los Angeles–Long Beach–Santa Ana, CA. 164=Included in urban agglomeration of Denver–Aurora, CO.
186=Data refer to resident population.